At the flow diagram stage there are usually many variables, such as temperatures, pressures, flow rates and the like, which can be changed within limits. Later on, these factors become set as fixed quantities. It is well to recognize during the design of the system that they do have an influence on the size and cost of heat exchange equipment. 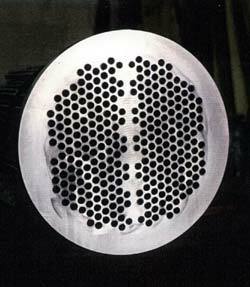 A higher heating media temperature results in a smaller heat exchanger for a given heating load. Limitations of materials must be kept in mind here. The highest allowable pressure drop will result in substantial savings in heat exchanger size. However, there are so many exceptions and limiting conditions that we cannot simply say ‘‘the longer the cheaper." Corrosive tendencies and purity requirements of fluids being handled. Often, the choice here is based on reliable data and experience.